Whether you are in the public or private sector, the challenge of moving from point in time compliance to ongoing risk management can be a daunting one. Centralizing risk, compliance and information security activity, unifying your risk taxonomy and language and meeting the visibility demands of numerous stakeholders requires not only a solid foundation of process and technology, but also people with the knowledge and experience to navigate often-complex regulations and control frameworks. 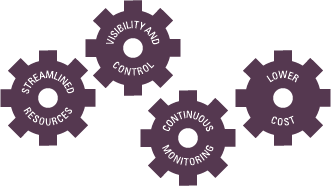 The TalaTek Enterprise Compliance Management Solution (ECMS) managed service provides a unique combination of all three. For decades, the TalaTek staff have been delivering consistent excellence in services by leveraging our specialized combination of methodologies, processes and technology — our Enterprise Compliance Management Solution (ECMS). 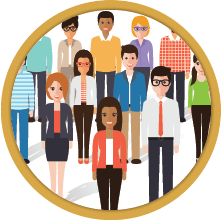 ECMS enables efficient and repeatable risk, compliance and information security management, facilitating continuous improvement and empowering you to make better informed risk decisions all while increasing the maturity of your program. Whether you need a complete integrated enterprise risk management system, FISMA SA&A support, gap analysis services or something in between, ECMS serves as the foundation for centralized risk measurement and metrics, document retention, task management and much more. 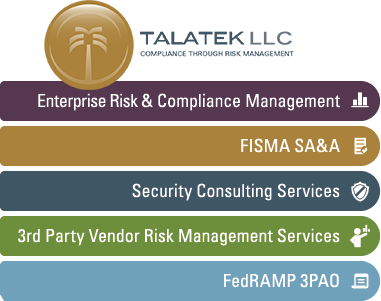 Regardless of where you start with TalaTek, our seasoned industry experts will help you take control of both your risk management and your compliance needs.